Anthony will be presenting a paper on the morning of the symposium, Friday 29 June, at ECU campus, and also facilitating a writing workshop on the next day. He will be exhibiting our books on the Market Day as well. We’ve never gotten our work over to Perth before, and are very excited to present at this inaugural event. If you’re in Perth and love comics, then come. 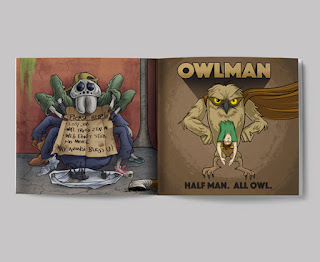 A LOAD OF OLD WAFFLE is a collection of 48 colourful and absurd illustrations from the mind of Chadwick Ashby. Foreword by Glenn Lumsden. The book is officially launching at Supanova Adelaide on Saturday, November 18th 2017. 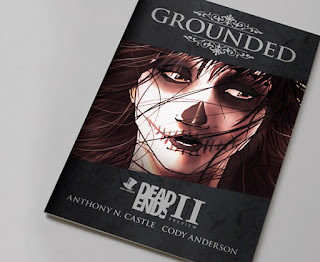 GROUNDED is a morbid meet cute for romantics and realists alike, written by Anthony N. Castle and illustrated by Cody Anderson. GROUNDED is a 12-page short story that will feature in the upcoming anthology DEAD ENDS II. 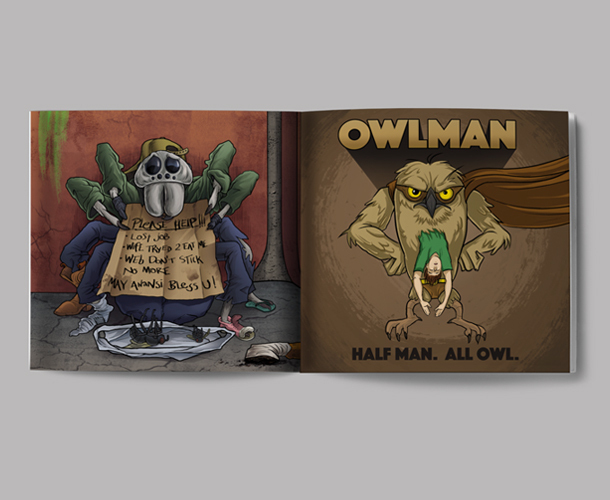 This release includes sample art and characters from the other stories in the anthology. The comic is officially launching at Supanova Adelaide on Saturday, November 18th 2017. DAPPLED is a dark, modern-day fairy tale that explores teen mental health and the power of words and images to shape our sense of self. 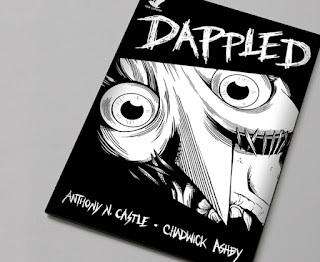 It is the latest 28-page one-shot comic from Anthony N. Castle and Chadwick Ashby. DAPPLED tells the story of a young person who is hated for being different. The boy encounters an urban legend about a magical guide that can help him escape and change who he is: from something strange into something glorious. The comic is officially launching alongside Heart of Millyera: Prelude by Jess Cate and Jana Hoffmann at Greenlight Comics on Friday, November 18th from 7:00pm to 8:30. 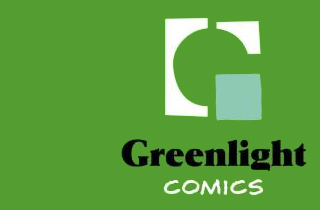 Greenlight Comics is the newest comic book shop in the City of Churches and we’re honoured to be a part of its grand opening. 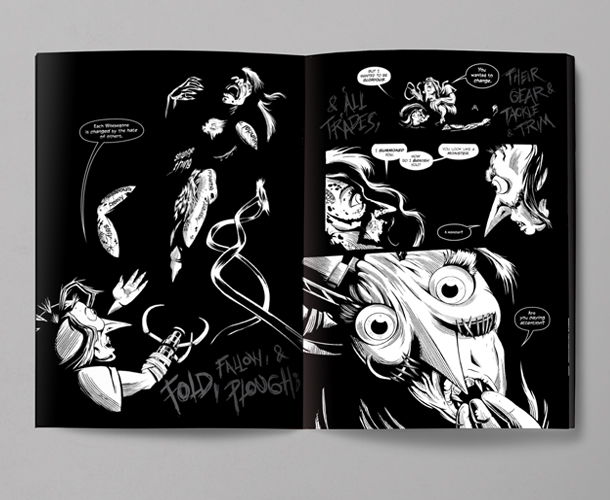 We will be selling our freshly-launched comics REDWOOD, RAG DOLL and THE EVERYMAN’S THEORY OF EVERYTHING, along with our anthology DEAD ENDS. Chadwick and Anthony are exhibiting at Supanova Melbourne 2016 and will also be presenting on a panel during the event. 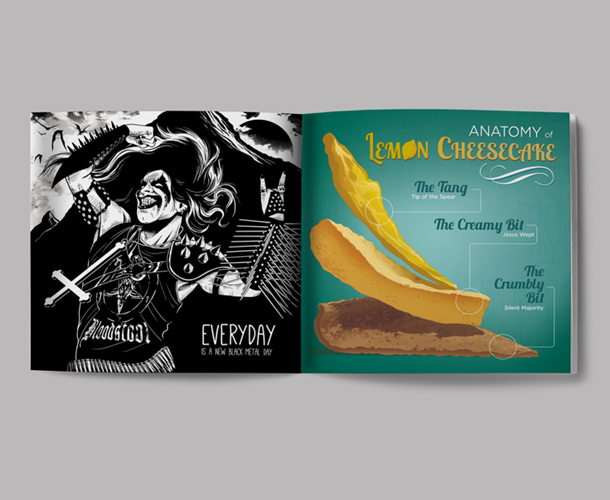 They will be at table 51 in the Indie Press Zone of Artist’s Alley with newly launched books REDWOOD, RAG DOLL and The EVERYMAN'S THEORY OF EVERYTHING will be available. Chadwick and Anthony are also presenting on a panel on the IP Stage during the weekend, talking about the process of writing, illustrating and producing independent comics. 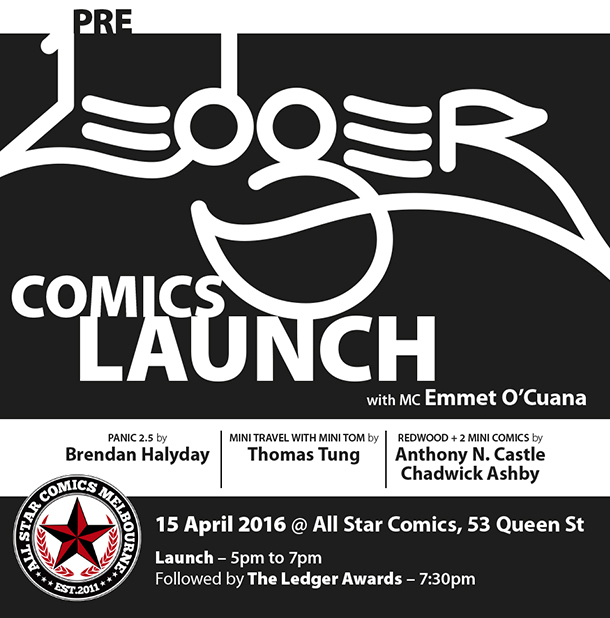 REDWOOD, THE EVERYMANS THEORY OF EVERYTHING and RAG DOLL mini will be getting an official launch along side work from Brendan Halyday and Thomas Tung at the Pre Ledger Comics Launch on 15 April at All Star Comics in Melbourne. 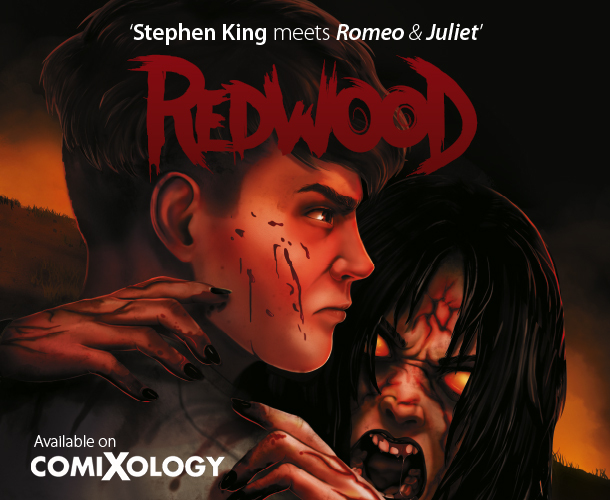 REDWOOD is now available on Comixology for $1.99! You can find it here. 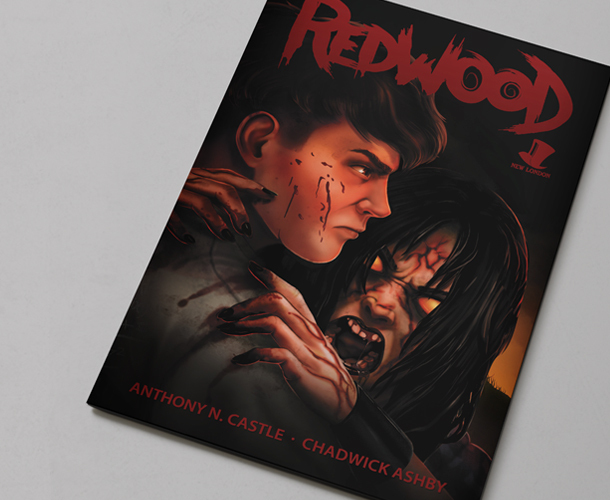 REDWOOD is a horror comic with a broken heart, the product of Anthony and Chadwick's aim to make a genre book with a dramatic core. 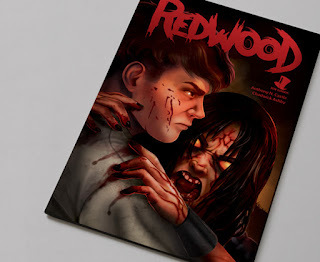 REDWOOD represents an artistic transition from the short stories within the previous release DEAD ENDS to a more startling aesthetic and a mainstream 24-page structure. Anthony's story began as the picture of two teens climbing a cursed tree- the result of researching the star-crossed lovers motif while reading a lot of Stephen King. Chad reined in his typical cartooning style to aim for a more dramatic approach, balancing western and manga illustration elements for a more mainstream aesthetic. 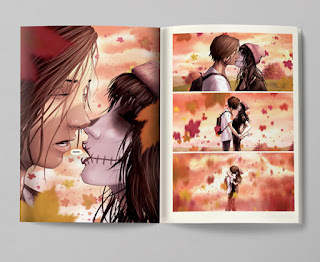 The final story takes a stab at young love and revisits the burial ground curse trope, with plenty of horror ephemera for fun. 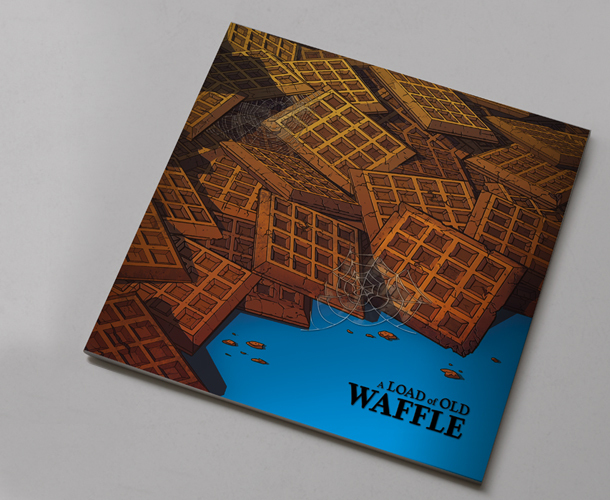 Noteworthy with this release is the cover art by digital artist and illustrator Chris Green. Chris contributed to the sequentials for the story Wings in DEAD ENDS and leant his considerable talents to create an atmospheric and detailed piece of cover art for REDWOOD. 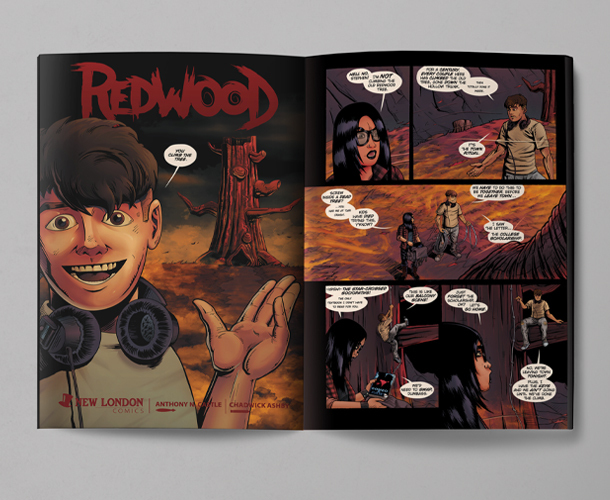 REDWOOD wouldn't exist if it weren't for the generous support from those who bought and read and enjoyed DEAD ENDS. Also, special thanks should go out to Emmet O'Cuana for the feedback and print-broker Brendan Halyday. REDWOOD represents the strongest work Anthony and Chadwick have produced yet, a moody genre book with an effective story, and a taste of things to come. Distribution details to come. Get on it. Young love. Old Curse. A dead redwood tree. Stephen and Evie must climb the Redwood tree. Redwood is Romeo and Juliet meets Stephen King, a horror story with a broken heart. Redwood will launch at Supanova Adelaide with special con-exclusive prints from the book. 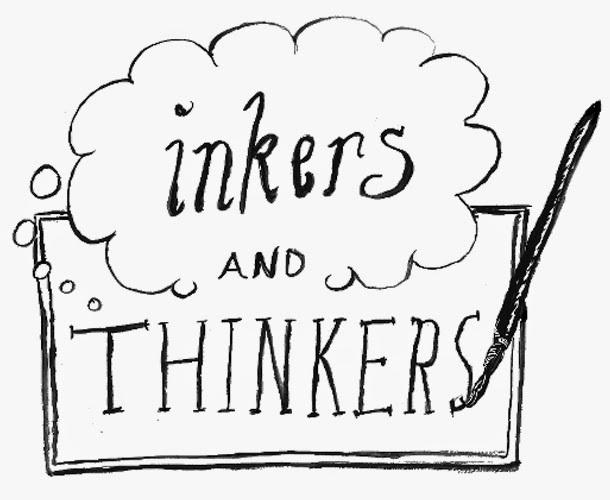 Inkers and Thinkers 2015 is an interdisciplinary symposium with a separate day of creative workshops. 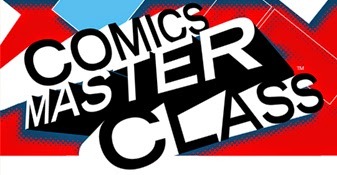 Aurealis Award-winning graphic novelist Pat Grant, experts and creative professionals from across Australia will come together to present on the comic book medium and its many alternative forms and creative voices. 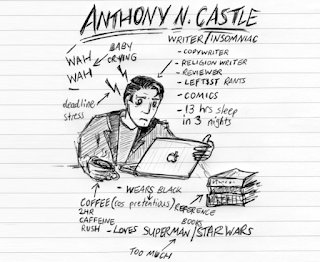 Anthony will be speaking on the Friday with a presentation titled Millennial Prophecies and Alternate Realities: Webcomics 15 Years After Scott McCloud’s Reinventing Comics. Anthony and Chadwick will be running a workshop titled Visual Storytelling and Artistic Collaboration on the Saturday. Tickets can be purchased from Ticketebo. "comics are not about drawing and writing, they’re about graphic design and poetry." 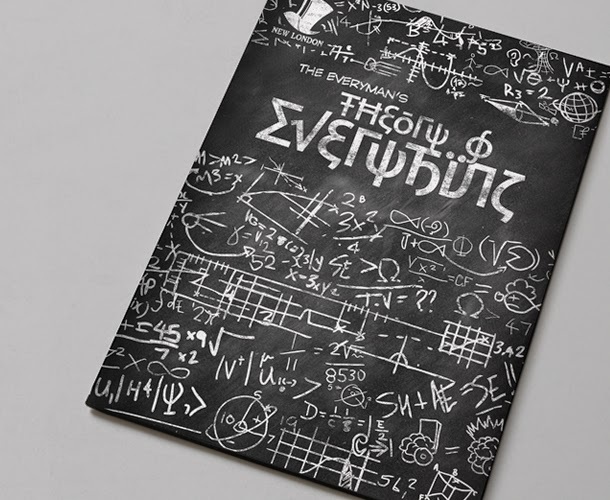 Chadwick’s new minicomic The Everyman’s Theory of Everything is a fine example of the art of compression. It is nine illustrations of graphic design and 58 words of poetry, in a most beautiful and tragic sequence. It’s also $4. Come down to Supanova Melbourne for a copy of the new minicomic The Everyman’s Theory of Everything and, if you haven’t already, pick up DEAD ENDS while you’re there. Supanova will be at the Melbourne Showgrounds, Epsom Road, Ascot Vale, Victoria from Saturday April 11th to Sunday April 12th. See their site for more details. 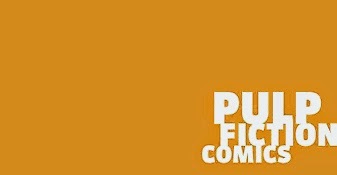 Pulp Fiction Comics is a big part of the South Australian comics scene, offering solid stock, a platform for indie books and even supporting the local meet ups. They also work with schools and libraries to get good work out to the right readers. We’ve bought many a book from Pulp Fiction Comics so it’s exciting to see our anthology of existential tales sitting on its shelves. Pulp Fiction Comics is in the heart of the city at 34A King William St, Adelaide. Ask for DEAD ENDS. Fresh from its debut at Big Arse Comics Launch #4, our graphic novel DEAD ENDS: Fables of Loss and Mortality is now available at All Star Comics in Melbourne. All Star Comics is a bookshop whose success has been founded on exhibiting a wide range of good comics with friendly customer service. Recently nominated for an Eisner award, this establishment has become something of a nexus for the Melbourne comics community. 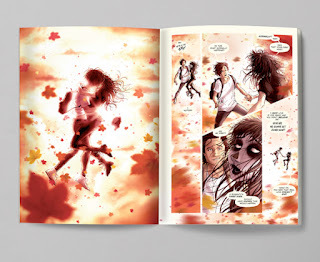 All Star Comics offers quality Australian books right alongside major publishers and we are pleased to announce that DEAD ENDS now sits on their hallowed shelves as well. All Star Comics can be found on Level 1/410 Lonsdale St, Melbourne (just open the street level door, enter the ground floor foyer, hop in the cosy elevator and go up). New London Comics’ first release DEAD ENDS: Fables of Loss and Mortality will be launching in Melbourne on Saturday the 15th of March, alongside a range of books at the Big Arse Comics Launch #4 in Fitzroy. Anthony N. Castle and Chadwick Ashby will be present at the launch as interstate creators. Big Arse Comics Launch #4 is on Saturday the 15th of March, 2pm at the Fitzroy Beer Garden, 243- 245 Gertrude Street, Fitzroy. This site will host all book announcements, launch and purchase details and progress reports on the comic books produced by emerging creators Anthony N. Castle and Chadwick Ashby.